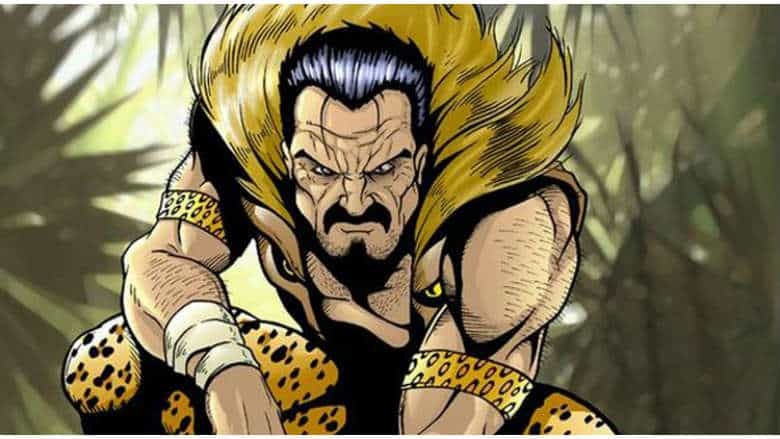 Kraven the Hunter Movie Hires Writer | Nerd Much? Sony looks as though they’re still committed to fleshing out the character’s within Spider-Man’s world – just without Spider-Man. The studio has announced that they’ve hired one of Hollywood’s hot writers to get development going on a Kraven the Hunter movie. It’s been evident for a few years now that Sony was serious about fleshing out the portion of the Marvel world in which they still held the rights to. The studio has the Tom Hardy led Venom coming to theaters on October 5th. A new trailer just hit the web the other day. There have been suggestions that a Silver Sable film is in the works. As well as stories based upon villains Kraven the Hunter and Mysterio. However the latter may no longer be possible as Jake Gyllenhaal is reported set to play the character in next year’s Homecoming sequel, Spider-Man: Far from Home. But following today’s news, it sounds like development on a Kraven the Hunter movie is progressing along. Collider is reporting that Richard Wenk has been hired by Sony Pictures to write the Kraven script. Wenk wrote the screenplay for the recently released The Equalizer 2, and has helped to write other action flicks in the past such as Jack Reacher: Never Go Back and The Expendables. If you’re unfamiliar with the character of Kraven the Hunter, he’s actually one of Spider-Man’s most iconic foes. Kraven is a Russian immigrant who considers himself the best big game hunter in the world. And to prove such, he believes his crowning achievement would be the slaying of Spider-Man. However, Kraven isn’t your typical “evil villain”. The character lives by a code of honor, meaning he won’t lower himself to dirty tactics to finally get the edge on his most prized game. But with Kraven’s driving force being to best Spider-Man, it makes you wonder how Sony Pictures could possibly make this movie without the involvement of Tom Holland’s Spider-Man. We’ll have to wait and see if development continues well from here. But ultimately, the fate of the Kraven the Hunter movie could be dependent on how well Venom does when it releases in just a couple of months.